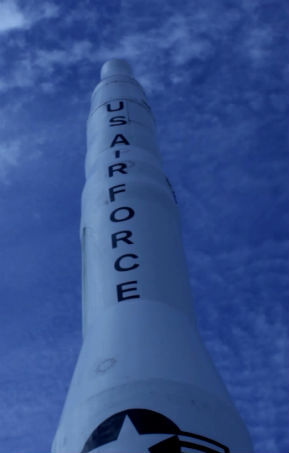 Robert Salas will likely need little introduction to anyone with a keen interest in Ufology - after all, he was a launch officer at Malmstrom AFB in Montana in 1967, a Minuteman Intercontinental Missile site which was buzzed by a UFO. The encounter led to temporary difficulties with the missiles, which he describes as the "Malmstrom missile shutdowns". Salas describes his experiences of that encounter and its aftermath in this book, although a more thorough examination of the case has already been made in his previous book "Faded Giant". 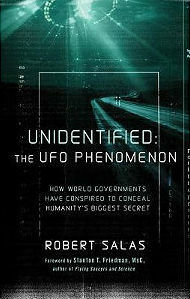 In "Unidentified", Salas concentrates on the ensuing cover-up, and the tactics used by the military and government to contain and de-rail a proper examination of this case (pp58-60), and the UFO phenomenon more widely. 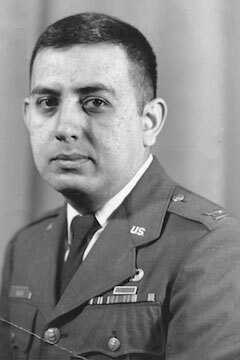 He notes that quite early on in UFO history (essentially, post-Roswell) the US Air Force applied a dualistic strategy (p24), which has proven highly effective: A deeply serious, secretive study of the subject by military intelligence investigators has run hand-in-hand with a public disinformation campaign aimed at discrediting the entire subject. The book is filled with personal anecdotes, as well as a broader sweep of argument and insight based upon decades of observation of the authorities at work. In the case of the Malmstrom missile shutdowns, the staff at the base were expressly ordered to never discuss what happened, even to other servicemen. This total block on discussion of the incident extended to the evidence provided to investigators from the Technology Division from Wright-Patterson Air force Base, who were told by the base commander at Malmstrom that no equipment failures had taken place during the alleged UFO encounter; a statement very much at odds with the experiences of his own men, and a self-evident cover-up from the viewpoint of the author. Keeping secrets is what governments do, and a cover-up this old and this thorough has outlived the original players in this game, as well as their descendents. It is entrenched, and has its own life now. Perhaps that's why, later in the book, Salas wonders whether the alien abduction phenomenon is a means for the alien life behind the UFOs to directly teach us about them, knowing that our leaders long ago painted themselves into a corner regarding public disclosure (p209). He seems open to the possibility that their involvement with us might go all the way back to our origins, and that we might be some kind of E.T. experiment that they are monitoring over time (p211). In this, Salas indicates his preference for a physical, nuts-and-bolts solution to the UFO mystery. His approach is a scientific one, and he decries Ufology for its drift towards providing entertainment and sensationalism rather than the importance of informing the public about the real issues. He emphasizes the importance of proper scientific enquiry into the available evidence (he provides examples of best practice), as well as a serious attitude towards the subject. Stanton Friedman's introduction to the book wholeheartedly backs up this approach. In keeping with this, the author presents overviews of a number of UFO cases, many of which involve intrusion into the airspace over military bases holding or associated with nuclear weapons. He provides a very useful table summarizing the central cases (pp194-5). Like author Robert Hastings, Salas can see a strong link between the appearance of UFOs, and the reckless use of nuclear materials by humanity. Accordingly, Salas gives us a history of the scientific breakthroughs leading to the creation of the atom bomb, the political and ethical dimensions surrounding its first use in anger by the United States, and its subsequent proliferation through the Cold War into the more chaotic modern period. He describes the many times when the U.S. has considered the tactical use of nuclear weapons during conventional warfare, as well as the points in history when the whole planet nearly bought it. The U.S. still reserves the right to deal out a first strike as a defensive measure. Quite shocking really, especially for a new generation who didn't experience the constant threat of a nuclear war with the Soviet Union. There is a complacency about the widespread stockpiling and war-readiness of nuclear weaponry that belies the continuing risk of inadvertent destruction that we are barely aware of these days. As a Brit, I noticed that Salas did not discuss the United Kingdom's early testing of nuclear weapons in the 50's and 60's. He might have mentioned the horrors of the Commonwealth servicemen (and perfectly innocent 'bystanders') who were shipped out to Maralinga in the Australian outback and exposed to the effects of radiation as part of those tests. As far as I'm aware. only one of the world's nuclear nations has relinquished the Bomb, that being South Africa. There's a small chance that the next would be the U.K., where the colossal cost of replacing the Trident nuclear deterrent is a political hot potato during the current age of austerity. Perhaps it would be a test of Salas's pleas for global nuclear disarmament to consider the unilateral disarmament of an ally in a world where so many unstable nations are frantically trying to build a Bomb. My guess is that we'll continue with it, regardless of the mind-blowing cost - such is our wariness of Putin and the docile nature of many of our European allies in the face of the rumbling Russian Bear. The author's overview provides a timely reminder of the continuing threat our species and our world lives under. We're so used to it, we don't really think about it anymore, except when, say, Iran edges ever closer to creating its own nuclear weapon. The stalemate of M.A.D. continues unabated, and the author questions the efficacy of the monitoring programmes between the major players. Salas argues strongly against stockpiling and recourse to nuclear weapons, as any sensible commentator would. He goes further, calling the ability to use nuclear weaponry a "moral cancer" aimed at the mass murder of entire peoples (p188). It seems that those beyond our planet are here with a message for us all, one that our collective amnesia and complacency has buried in the decades since the Berlin Wall came down. Their ability to tamper with nuclear missiles with impunity over several decades surely would have been noted by our governments (UFOs present "No Defence Significance", apparently) and perhaps give us the hope that they would intervene if we really were stupid enough to push the big red button. But the only way to be sure is to get rid of them entirely. It's a powerful message, and a wake-up call regarding the perilous state of play that we live with constantly. Subtitled: "How World Governments have conspired to conceal Humanity's Biggest Secret"